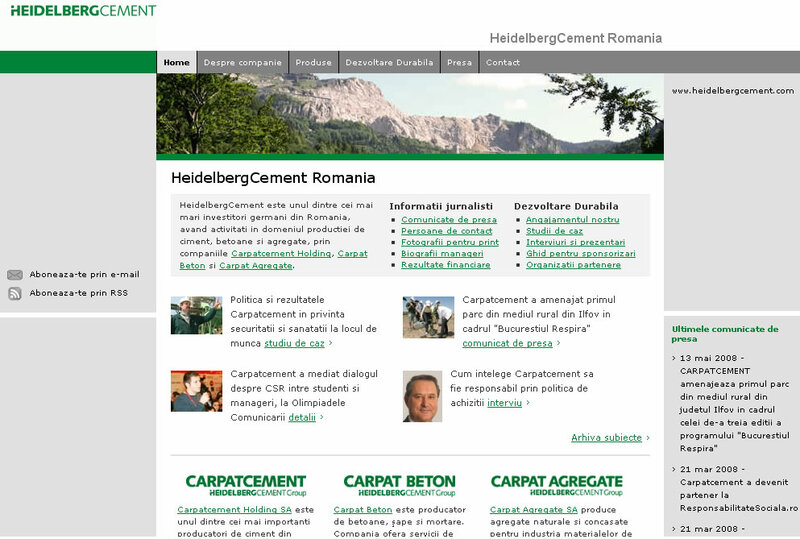 The operations of the Heidelbergcement companies in Romania (Carpatcement Holding, Carpat Betoane and Carpat Agregate) have now a unified corporate website (www.heidelbergcement.ro), developed by Selenis. The agency was in charge of the research, information architecture development, graphic design, front and back-end development, and content creation/adaptation. The corporate online platform is designed to support all the communication activities of the three companies with their main stakeholders: business partners, customers, journalists, public authorities, local communities and NGO’s. The website includes the corporate group profile, its history, information about products and facilities, social and environmental initiatives. For the journalists, it functions like an online pressroom, offering financial results, top management profiles, high-quality photos, an extensive press release and news coverage archive. HeidelbergCement is one of the world’s largest building materials companies. With the takeover of the Italian cement producer Italcementi, HeidelbergCement became the number 1 in aggregates production, number 2 in cement, and number 3 in ready-mixed concrete. Both companies complement each other perfectly: on the one hand due to major similarities in product areas and organization structures, and on the other hand due to their different geographical footprints without major overlaps. 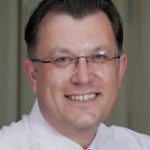 In the significantly expanded HeidelbergCement Group, around 63,000 employees work at more than 3,000 production sites in around 60 countries on five continents.